In this article we will explore exactly how use use a Psychometric Test For Recruitment. What types of psychometric test do we need when recruiting? There are a range of psychometrics you can use including numeracy and literacy, however this article is focused exclusively on personality. If the candidate has the right personality for the work environment you are offering, then you can usually train them in any skills they may require. But where skills are easily learned, personality is not. A poor match in personality, will not be compensated for by high skill levels. It is always better to match the personality with the role in the first instance and then look at each candidates skill levels. How do you reduce 50, 100 or even 400 applications down to a short list of say 5 for interview? It’s not that unusual to receive hundreds of applications for some jobs, so you are faced with some difficult choices. You can’t possibly interview every applicant as it would be extremely time consuming and very expensive. So what’s the alternative? How will you devise your short list? What method will you use to reduce 400 down to just 5 for interview? Well it is recommended that you know what work environment you are actually offering. You may want to recruit autonomous individuals that think for themselves and takes initiative, however if you do not offer an autonomous work environment, then there is no point in hiring this kind of person as they will soon become frustrated. If you want to hire autonomous individuals, then you need to provide them with an autonomous environment. This is the case for any scenario you can imagine. So the first thing to understand is the psychological profile of your work environment. What kind of personality will your work environment suit? Only once you know this can you hope to identify your ideal candidate. The PeopleMaps Work Environment Analyser is design to help you do exactly this. It’s pretty complex, which is why PeopleMaps has developed this special tool. Now you should be able to prioritise your interview list and start with candidates who are most likely to find your work environment compatible with their core personality. How to use a psychometric test when interviewing candidates? PeopleMaps has developed a library of personality topics specifically for recruitment. Each topic will not only tell you about a particular aspect of the individual but it will also provide you with interview questions. Most managers find it difficult to keep the interview focused on the key areas. 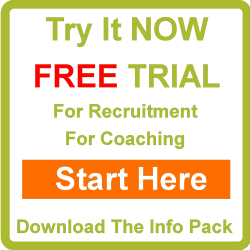 Each interview question is designed to help you with each specific candidate. The report will also tell you what to look for in their answers. The aim is to provide you with the most revealing and informative interview as quickly as possible. What should recruiters look for in a psychometric test? As a recruiter you want to find a personality questionnaire that candidates can complete in less than ten minutes. Long questionnaires see candidates get bored, where they either do not bother submitting their application or where they answer glibly just to get to the end of it. Do not ore your candidates as you want to attract the very best. You want something that is quick and simple for the line manager to use. Ideally you want something that they can use after a few minutes. Avoid systems that require you to go on a time consuming training course to get get anything meaningful from the results. Finally make sure you are using an online system, not an old fashioned paper based system. You may want to start by looking at the psychometric test definition, then remember that you want recruitment tools that save you time and help you make better hiring decisions than your competitors. If you can routinely hire better staff than your competitors then you give yourself a significant competitive advantage. Offering higher salaries is a very ineffective way to hire the best candidates. You need a better recruitment process to make better hiring decisions. This has been an article about a Psychometric Test For Recruitment.